The Zillertal has a lot to offer all year round. Of course we can't list everything here, but we would like to give you some dates anyway. In winter: 165 km of pistes, 8 ski and snowboard schools, 200 km of cross-country ski runs and the 7 km long illuminated natural toboggan run Gerlosstein will delight the heart of every winter sports enthusiast. The small family ski area Gerlosstein offers connoisseurs and families with children a lot of skiing fun off the beaten track. The Gerlosstein tandem cable car takes you from Hainzenberg (between Zell and Gerlos) directly to the ski area. Both the Zillertal-Arena ski pass and the Zillertaler Superskipass are valid. In summer you can go hiking and climbing, cycling and mountain biking, minigolf, paragliding and many other activities. Throughout the year, numerous excursion destinations attract visitors not only in bad weather - from the show dairy in Hainzenberg to the Crystal Worlds in Wattens to the observatory in Königsleiten and much more. Whether you go alone or in pairs, prefer fast or rather comfortable, whether you have children with you - with us you will find the right toboggan for everyone to enjoy the unique natural toboggan run and also to go down the illuminated run in the evening. By the way, our 120 square metre holiday cabin for up to ten people is located half way along the track - ask us if you would like to book. Do you enjoy hiking and enjoying the indescribable nature of the Zillertal Alps, the clear view over the peaks of the region? Then you have come to the right place. 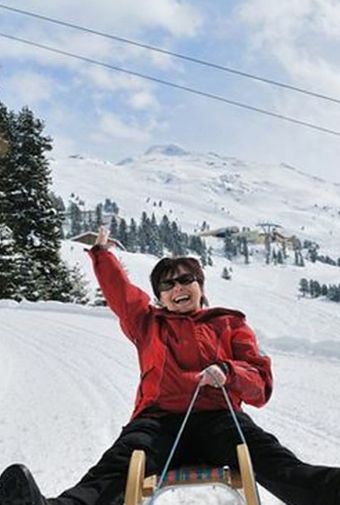 Experience pure fun on the longest natural toboggan run in the Zillertal, the illuminated Hainzenberg toboggan run. 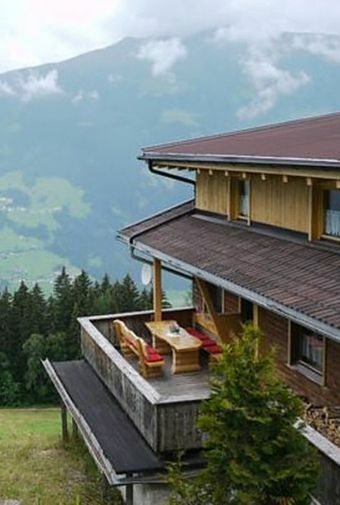 The "Schlittenstadl" with its separate parlours is perfect for celebrations of a special kind. 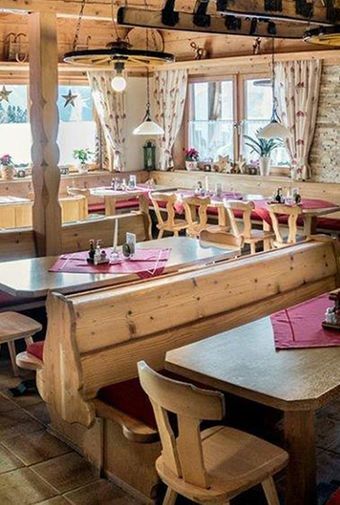 Your meeting point for a cosy evening in a mountain hut is about halfway along the toboggan run or the piste. Homemade food in a cosy ambience will make your stay an experience. In summer, the beautiful terrace with its incomparable panoramic view is a temptation. You can reach us by phone at the number +43 5282 3545, for example to reserve a table. Of course you can also use the contact form.